In 2015, a group of academics and senior officers in local authorities and health authorities got together to start talking about how to work more effectively with the third sector. The idea was to begin a learning journey which drew on debate and discussion about the existing evidence and draws some new insights from consultation with 40 organisations within the third sector. The outcome of this programme of work, which was funded by the ESRC, is a new discussion paper on the 10 key findings and recommendations from the programme of work. 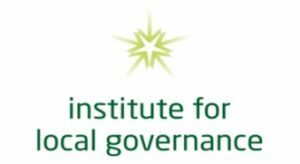 As the report is launched on 9th March, the Institute for Local Governance is hosting a seminar to present the recommendations and to give people an opportunity to debate their value and potential impact. Participants are invited from across a range of organisations including health organisations, local authorities, charitable foundations and third sector organisations across North East England. The seminar will be chaired by Professor Paul Keane, Chairman, County Durham and Darlington NHS Foundation Trust. The seminar will open with a brief presentation on the key findings from the work by Professors Tony Chapman and Fred Robinson, St Chad’s College, Durham University, Professor John Mawson, Director, Institute for Local Governance, and Dr Jonathan Wistow, Department of Sociology, Durham University. Following the presentation, there will be clearly focused table debates on the principal recommendations facilitated by partners from local authorities, health organisations, charitable foundations and third sector infrastructure organisations. To close the session, there will be a panel of key stakeholders to discuss key questions raised in the table debate. Agreed panellists include Harriet Stranks, Lloyds Bank Foundation; Rob Williamson, Community Foundation Tyne & Wear and Northumberland; Gillian Peel, Age UK North Yorkshire and Darlington; Sally Young, Newcastle CVS; Kirsten Francis, Northumberland County Council; and, Gordon Elliott, Durham County Council. Attendees at the seminar will be provided with a pre-publication copy of the report to prepare for the event, together with a shorter briefing paper on the 10 key findings and recommendations. The Institute for Local Governance is a North East Research and Knowledge Exchange Partnership established in 2009 comprising the North East region’s Universities, Local Authorities, Police and Fire and Rescue Services. Further information about the content of the event can be obtained by contacting:- tony.chapman@durham.ac.uk or john.mawson@durham.ac.uk.